Insurance is a critical component of financial planning that fresh graduates cannot afford to ignore. Most people we talk to would agree that insurance is an important part of financial planning. Growing up, our parents may have bought insurance policies for us. We could have seen people we know claiming on their policies due to unexpected incidents that have occurred. Even though we know insurance is important, many fresh graduates in Singapore have very little understanding about the types of insurances. They are not sure what’s out there, and what they should be buying. 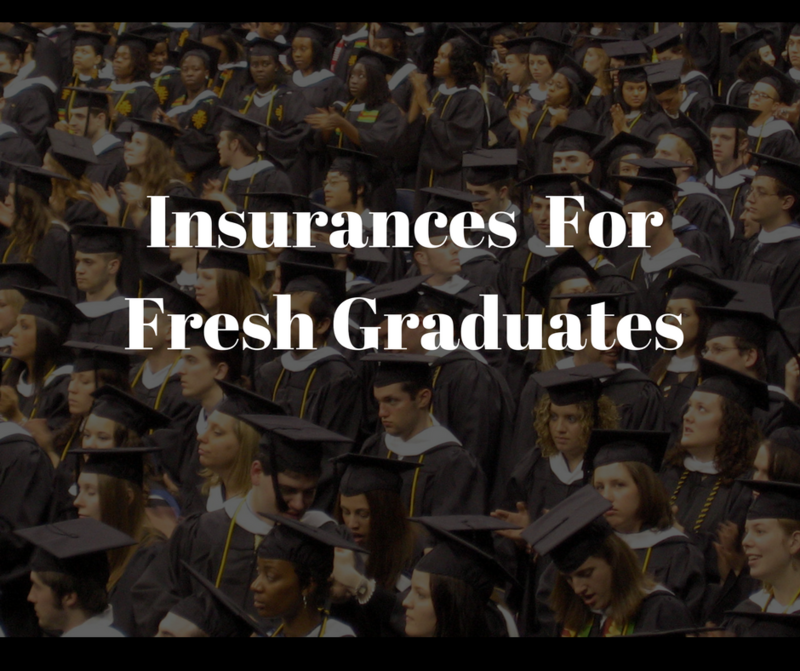 In this article, we hope to discuss the various types of insurances that fresh graduates would need. Insurance products may sometimes appear complex, but this doesn’t always have to be the case. Insurance policies usually become complex because when investment benefits are added into the plan. If you take away the investment component of insurance policies, most personal insurance policies will fall under one of the following two categories: Life Insurance and Health Insurance. Why Is Health Insurance Important For Young Graduates? As young graduates who have just entered the workforce, our ability to work is our biggest personal financial asset. Being young and of good health, our entire career is ahead of us. We are positive we can do well in the workplace and to earn a decent living for our family and ourselves. The harsh truth however is that unexpected health matters can steal that ability from us in a heartbeat. If that happens, a double whammy occurs. Not only would we be unable to work and earn an income for a period of time while recovering, we will also incur potentially hefty healthcare cost. Health insurance helps us to mitigate this risk in various ways. For example, a private integrated shield plan would help us to reduce or completely cover the cost of hospitalisation and inpatient treatment that we may need if we find ourselves hospitalised. A critical illness plan provides a different type of support. When diagnosed with a critical illness condition, a cash payout is automatically provided, even if hospitalisation is not needed. This sum of money can be used to cover the cost of outpatient treatment and living expenses during the recovery phase, where policyholders may need to take a break from work. Read Also: Is An Early Stage Critical Illness Plan Necessary? There is also disability income insurance. This provides payout in the event that policyholders suffer from a disability that prevents them from being able to work. In such circumstances, a stream of monthly payout will be given to policyholders. All of the above health insurance policies protect us financially from unexpected issues that could take away our ability to work, be it temporary or permanently. Why Life Insurance Is Equally Important? You may have protected yourself financially against the risk of health issues preventing you from working. You now have to think about your family members who are reliant on you. These could include your non-working spouse, your children and your elderly parents. A life insurance plan provides a cash payout to your beneficiaries in the event that anything happens to you. While the policy does not lessen the pain of losing a loved one, it would at least ensure that financial hardship is not an additional area that your dependents will have to be worried about. As an individual, having sufficient life insurance is important in giving you a peace of mind that your family members will be taken care of financially if you are no longer around. How Much Would All These Insurances Cost? There is currently no one-size-fit-all product in the market. To enjoy the health and life insurance coverage describe above, young adults need to buy a few different insurance policies. Do-it-your way (DIYInsurance) is a comparison web portal developed by Providend, a fee based financial advisory firm. The folks over at DIYInsurance have designed a Young Working Adult Package that provides coverage specifically tailored towards what most young working adults would need. Based on the assumption of a 25-year old, non-smoker who works at a desk-bound job, the above coverage will cost policyholders about $170 a month. This is an estimate that may change depending on factors such as your current age, lifestyle and actual coverage you want. As with most policies they sell, DIYInsurance will provide a 50% commission rebate to their customers. This would be about $850, or about 5 months worth of premiums. DIYInsurance does not have any special tie-ups with any insurance companies. The products that you see listed above come from a variety of different insurance companies. Their salary-based advisors curate and recommend products to you based purely on your needs, and the value you are getting. If you have any further questions about the Young Working Adult Package that DIYInsurance provides, or are wondering what other insurance policies you may lack currently, feel free to have a live chat with the folks from DIYInsurance on their Facebook Page.